One of the calmer dogs in the terrier family, the scruffy Glen of Imaal is fearless and loyal, and superb with people, including children. The Glen of Imaal Terrier was bred in a remote, mountainous region of Ireland called County Wicklow for the purpose of hunting badger, foxes, and rats, as well as a general-purpose farm dog for herding and family companionship. Though their exact origin is lost to history, some believe the breed may be related to the Soft-Coated Wheaten Terrier, and/or the Kerry Blue Terrier. Meanwhile DNA analysis indicates that the Glen of Imaal Terrier is more closely related to the mastiff-type dogs than it is to the terriers. Reportedly, the Glen’s history began during the reign of Elizabeth I, who hired French and Hessian mercenaries to put down a rebellion in Ireland. After the conflict, many of these soldiers settled in the Wicklow area. They brought with them their low-slung hounds, which they bred with the local terrier stock, eventually developing a distinctive breed that became known as the Glen of Imaal Terrier. Glen of Imaal Terriers can be energetic and tenacious, but they tend to be more even-tempered, easygoing, and less vocal than other terriers. While they love activity, they are not demanding, and are happy to relax by their owner’s side. Glens can have a stubborn streak, but they respond well to a firm hand. They are intelligent, learn quickly, and socialize easily. However, some can be dog-aggressive, especially when provoked, and most have a high prey drive. Households or farms with small animals (cats, bunnies, hamsters, chickens) that allow these animals (and the dog) free run of the property. Does not bark as much as other terriers. Does not need as much activity as other terriers. Can be stubborn, may like to dig, likes to chase prey (a fenced yard is required). A “big dog on short legs,” males and females average 12-14 inches at the shoulder, and weigh between 32 to 40 pounds, with a sturdy, muscular build. Historically, the breed’s tail was typically docked to a length just sufficient to serve as a handhold for pulling the dog out of a badger hole. Docking is still standard in the United States, though some breeders have stopped doing it. Wheaten or blue (the latter usually with brindling); both colors encompass a range of shades. Average 10 to 14 years. The Glen socializes easily, especially when started early. They often act aloof with other dogs, however some can be dog-aggressive, especially when provoked. Most have a strong prey drive and need to be well-socialized with other animals when young—particularly with small household pets that they might mistake for quarry, such as cats, rabbits, hamsters, and rats. Excellent ratters. Glens also do well at Earthdog trials, Barn Hunt, and Agility. Some Glens have been trained to herd and drive sheep and cattle. The Glen of Imaal Terrier does not shed much, and only needs to be brushed or combed every week or two to keep the coat free of matting. It is also typical to strip excess hair from the hard coat two to four times per year; this “dead” hair pulls out easily and painlessly with the proper tools. Glen of Imaal Terriers can suffer from progressive retinal atrophy (PRA), a congenital disorder that gradually results in blindness beginning at about five years of age. Responsible breeders use the test to plan PRA-free litters and continue to test their animals’ eyes annually to validate the test and to monitor for other eye problems. 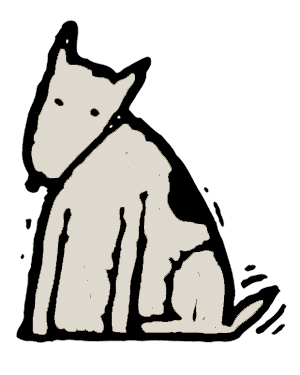 Some Glen of Imaal Terriers suffer from hip dysplasia, allergies and skin itching.